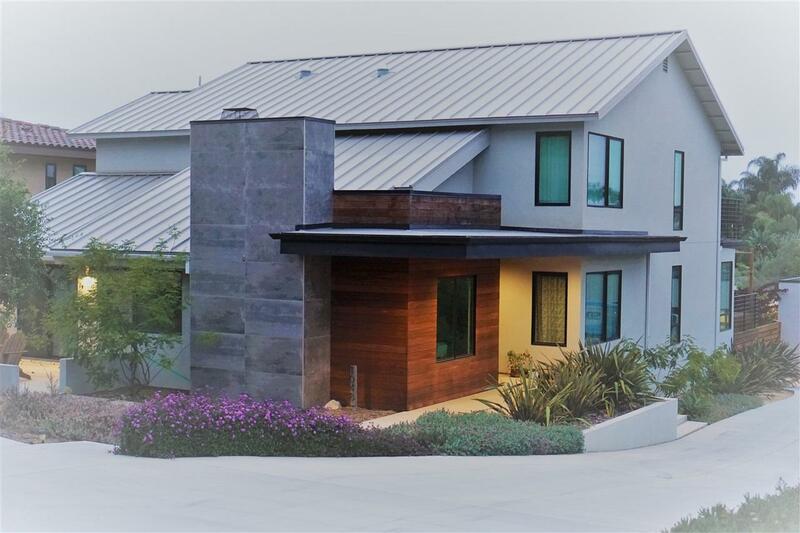 Must see 3D Tour of this Modern Contemporary 2015 Custom Rebuilt with peek ocean views.This spacious 5 br/4 ba home sits on 1/3 acre offering your family the best of California Indoor/Outdoor living.A gorgeous 2 tiered Brazilian deck overlooking a newly installed solar heated pool and lush landscaping.Over 50k in stunning custom metalwork including pivoting entry door,floating stairs and patio railings all exclusively designed by Noe Design, go to http://www/noedesignco.com/eolus for photos.See Supplement Please take a moment to view the attached 3D Virtual Tour. No money spared in this uniquely designed sophisticated family home that offers an abundance of natural light. A spacious free flowing open concept home with a kitchen that features a 5 piece Thermador stainless steel cook-top, over sized built in refrigerator, Blanco sinks in the kitchen and laundry rooms, a large walk in pantry, and modern Caesar Stone counter tops. Impressive solid walnut cabinetry enhance the elegance throughout and include custom built bookcases. Beautiful french oak floors in all the living areas with carpeted bedrooms and tiled bathrooms. There are custom organizers in all closets, mirrored doors, solar tubes in baths and walk in master bedroom closet. A lower level guest bedroom and bath is conveniently tucked away for privacy. Tank-less water heater along with dual air conditioning and heating systems. The large upper deck offers beautiful cool sunset ocean views off both the master and secondary bedroom. There are high quality speakers prewired and installed in both the living room, dining room and back deck. Additionally the home has retractable screens on all the windows that open. The garage has been refurbished with new metal builtin cabinets. The entire home has newer landscape with many fruit producing trees and plenty of room for the kids to play. It's a home your family will surely love. Please Note the Remaining Furniture is Negotiable.